Since its opening in 2008, The Springs Costa Rica, Resort & Spa retreat has been one of the most luxurious Hotels near the Arenal Volcano. 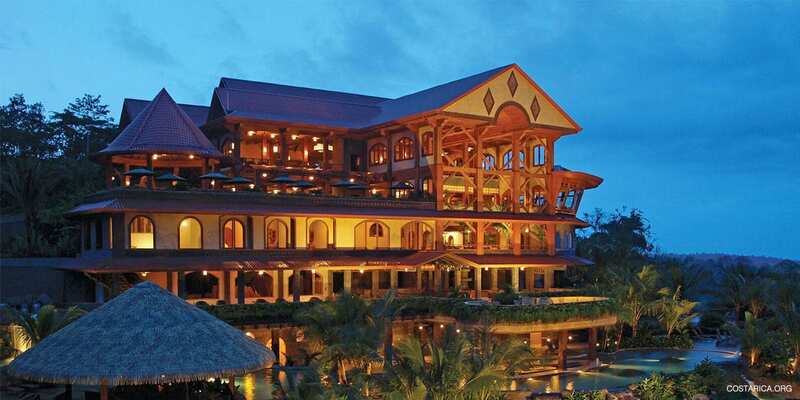 With its 165-acre property, the resort is located just a few kilometers away from Arenal Volcano. This prime location offers some of the best views the natural wonders in its surroundings. 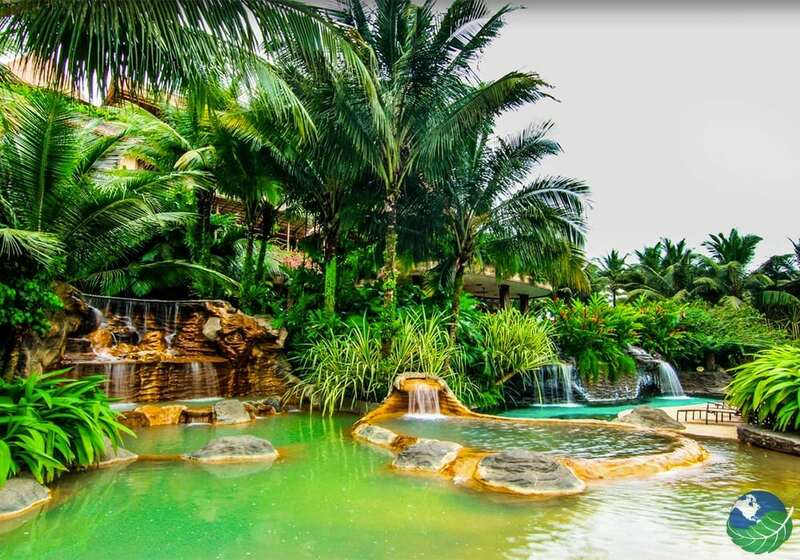 In The Springs Costa Rica Resort & Spa you enjoy the wildlife and tropical forest, and its five fantastic bars and the four fabulous restaurants. 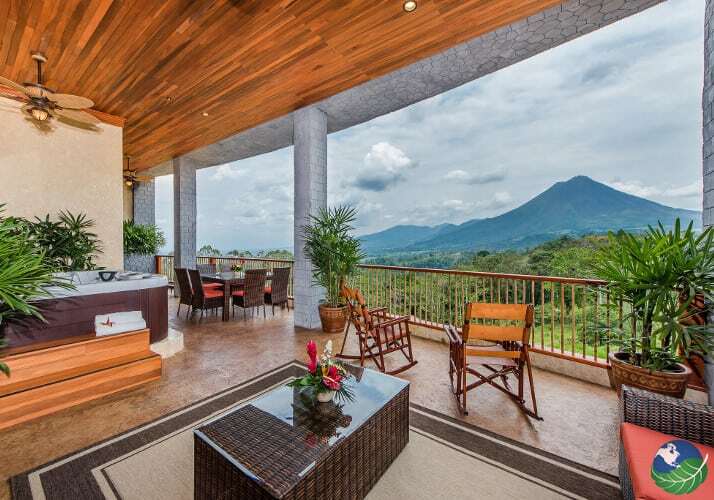 This resort lies 1000 ft. (305 m.) Above the Arenal Valley and perched on a mountain ridge just 3.5 miles (6 km.) north of Arenal Volcano. As close as it is situated to the volcano, it is safely outside of the government declared danger zone. So you can truly have an up-close experience of one of the most active volcanoes in the world. The resort covers all of your needs for accommodation or adventure tours near the Arenal Volcano. For example, hiking or zip lining. You can take part in the on-site tours and walk the trails that cover much of the property. Discove hidden waterfalls, walk around the forest and enjoy the Arenal hot springs. The Springs Costa Rica also offers horseback riding, ATV tours and access to the animal rescue facility. Featuring a variety of animals and a collection of thirty rescued indigenous wild cats including pumas and ocelots. But if you feel like just relaxing without leaving your room. You can enjoy the breathtaking panorama of the volcano and the valley from the balconies while lying in a hammock. If you are looking for yet another excuse not to leave. 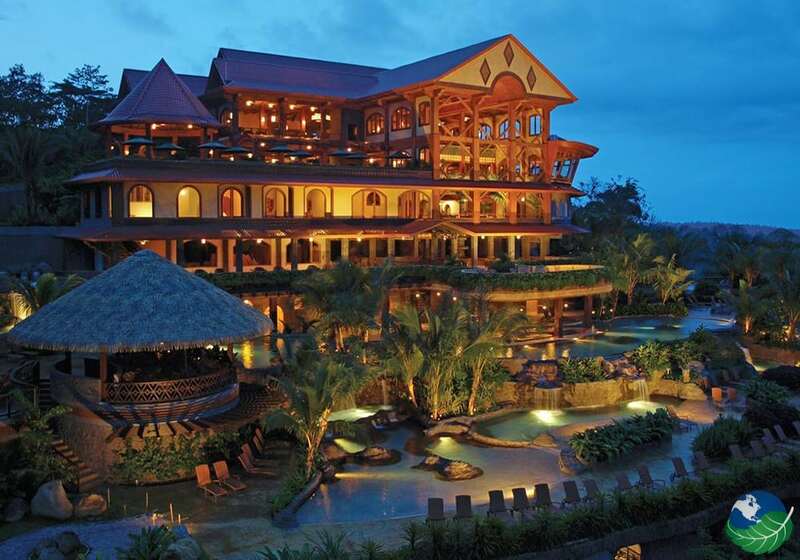 The Springs Costa Rica, 14,000 sq ft Spa and Fitness Center will surely do the trick. 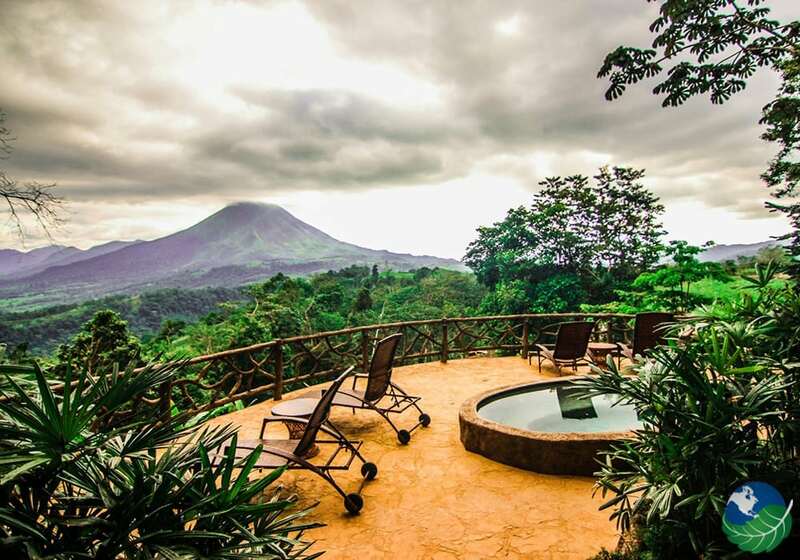 With an outstanding view of the Arenal Volcano, the facility engenders energy, balance, and harmony in their guests. Under the attentive care of highly trained professionals. The resort’s, ideally located for the best experience in hiking, fishing, kayaking, bird watching and wildlife Arenal tours. To top off a full day of tours and activities, satisfy your hunger in one of the four world-class restaurants onsite, including a gourmet buffet at Tres Casadas, poolside eating at Las Ventanas, Ginger Sushi Japanese food, and the Treetops Grill. 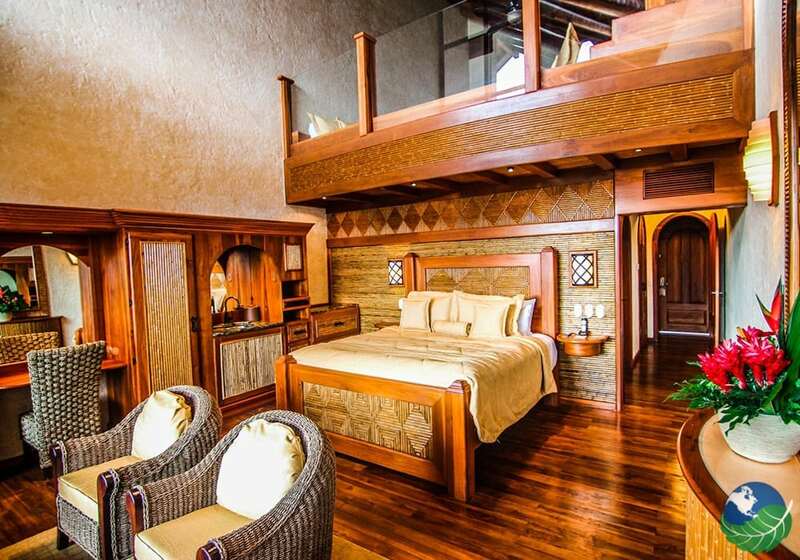 Don’t miss out on one of the best five-star hotels in La Fortuna, Arenal area. Each guest room and villa at The Springs Costa Rica Resort & Spa offers breathtaking views of the Arenal Volcano from private balconies with hammocks and rocking chairs, marble bathrooms with Jacuzzi tubs and multi-head showers, satellite television with 37`inch flat screen TV`s, surround sound with CD/DVD players and IPOD/MP3/USB stations, and wireless internet. Other amenities include are a wet bar, safe box, mini-bar refrigerator, and coffee maker. The two sumptuous Villas also include Kitchenettes and Outdoor Dining Areas. During your stay at this luxury boutique 5-star resort, you will find that it will exceed your expectations. Offering 42 elegant rooms and two spectacular villas, you will be sure to find exactly what you are looking for. Each room holds a breathtaking view of the Arenal Volcano, where you can sit back and relax on your hammock, rocking chair and enjoy. Also, if you feel like relaxing a little more, try out your private Jacuzzi in the luxurious marble floor bathroom. You will always have something to do with the flat screen tvs with surround sound, CD/DVD players, and connectivity to any music player, all accessible right in your room. The Springs Resort & Spa assure your stay to make you feel like you’re in paradise. All in all, you will love it. Arenal. Favorite. 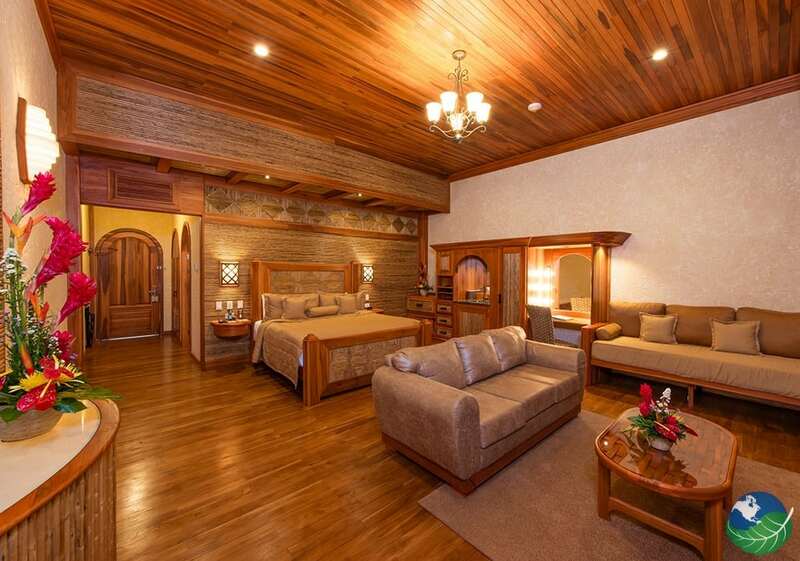 Luxury, Volcano, Hot Springs, Promos Spa, Pool, Fitness Room / Gym, Restaurant, Bar / Lounge. A/C, TV, Internet access / Wi Fi, Phone, Safe Box, Mini Bar / Fridge, Coffee Maker, Hair Dryer. Laundry Service, Concierge, Room Service.